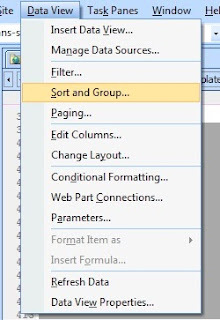 I have just set up a new SharePoint 2007 team site to help me managing my new project documents. I have the following list where I record all mandatory documents for my project and check if the document has been produced or not. I wanted to find a simple solution to colour code each line of the list view, to display green background for documents that exists (Done == ‘Yes’) and red colour to non-existing documents (Done == ‘No’). First let’s create a new view. 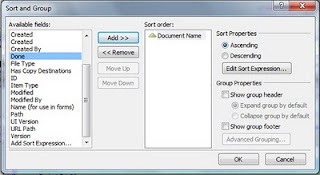 Click on the View drop down list and select Create View. Select Standard View from the list of available type of view. 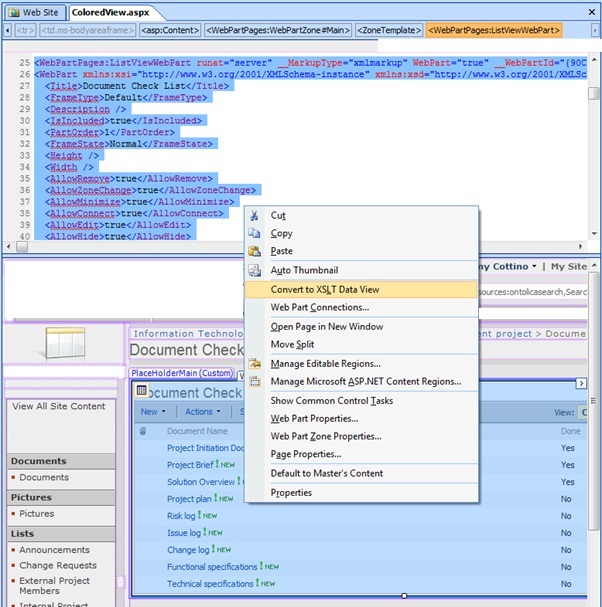 And create a new view that display Attachments if any, Document Name and the "Done" flag. 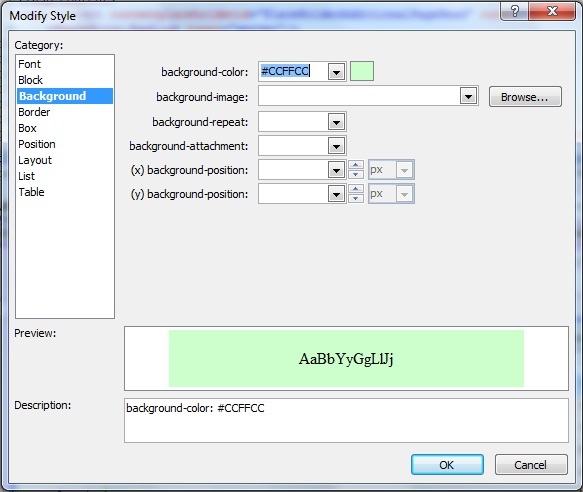 Once created, open Microsoft Office SharePoint Designer 2007 to edit this view. 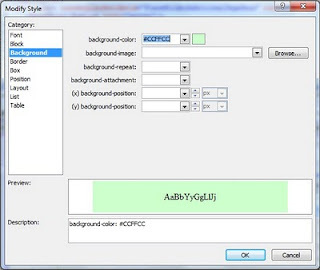 First open the site and then select the .aspx page that corresponds to the view. 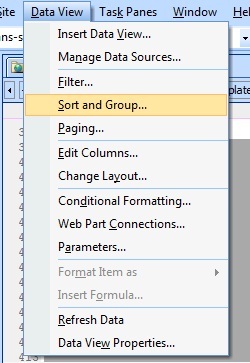 Right click on the List View Web Part and select Convert to XSL Data View. 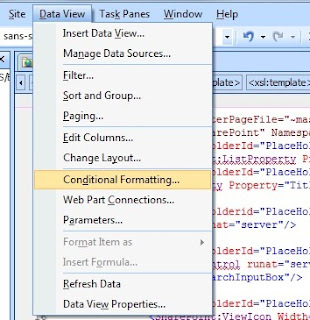 This will convert settings for the current view into data view parameters. 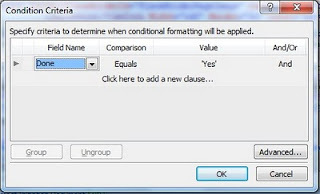 Once converted, right click on the web part and select Conditional Formatting. 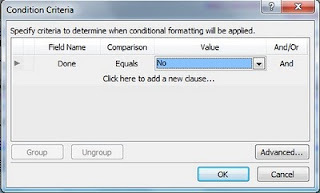 Enter criteria. 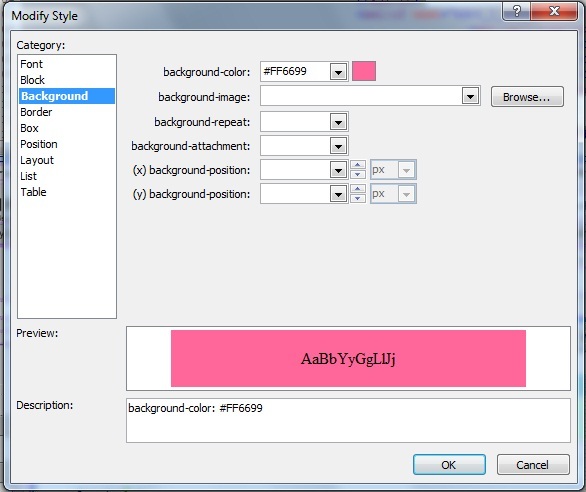 In our example, if the field Done == ’Yes’ then we modify the style to display green background. 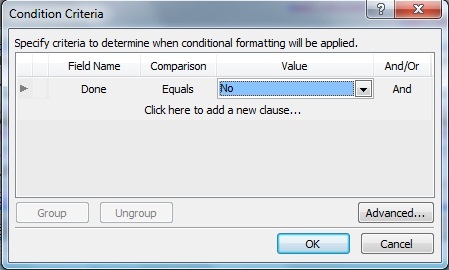 Do it for the second formatting condition, if the field Done == ’No’ then we modify the style to display red background. 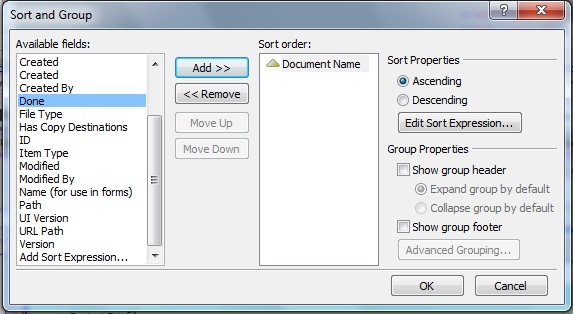 And sort by Document Name ascending order. It remains some comments so that this view could be perfectJ, I still not have time yet to fix those issues. Cannot save the property settings for this web part. Cannot complete this action. Please try again. 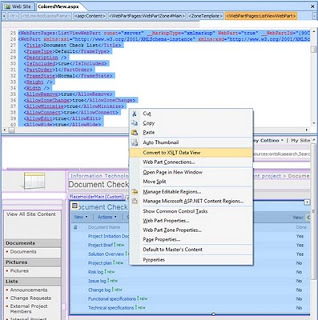 Last comment: The modified view can now be only edited using Microsoft Office SharePoint Designer 2007.